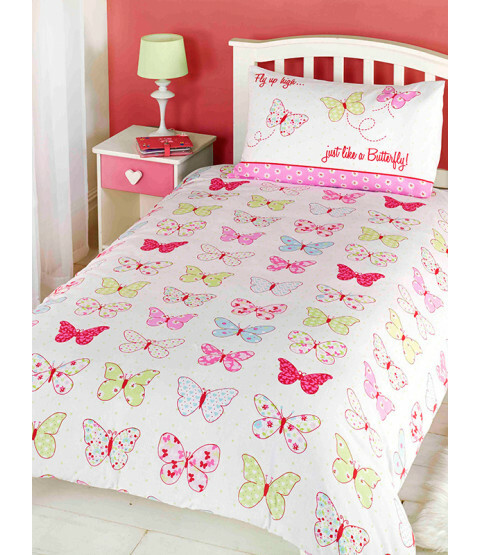 This Butterfly Junior Duvet Cover and Pillowcase Set is perfect for little girls and an ideal finishing touch for a butterfly themed room. 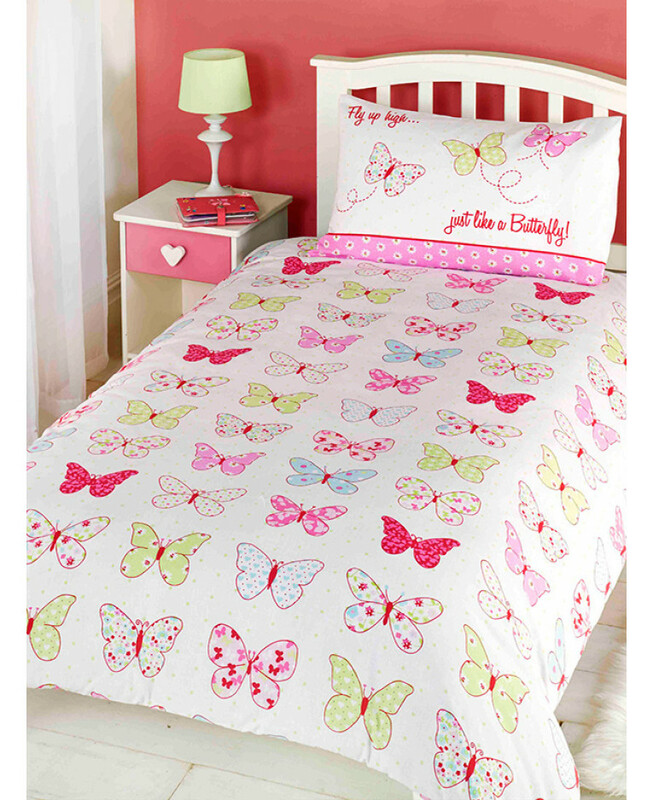 The design features a collection of pretty patterned butterflies in tones of pink, blue and green on a white background, with the words 'Fly up high, just like a butterfly' on the pillowcase. This item is suitable for machine washing and tumble drying.